The famous Toblerone bar is so distinctive in shape and design that it serves as a great example of a “distinguishing guise” trademark. It has been used as a trademark since 1910 in Canada, and during that time has maintained the same “tread design” of chocolate peaks, which has been a registered trademark in Canada since 1969. It’s the actual shape of the bar that functions as a trademark. 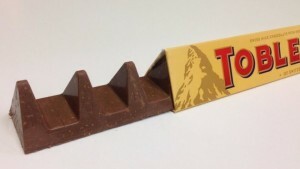 The bar is really a whole trademark treasure-trove since the unique shape of the triangular box, the colour scheme of the lettering, and the word TOBLERONE, are all separate trademarks, registered in a number of countries around the world. The Swiss chocolatier redesigned the famous bar for the UK marketplace (reportedly in response to price adjustments required in the wake of Brexit). The newly redesigned bar expanded the valleys, resulting in fewer peaks, all to shave costs. This of course resulted in a minor scandal in the UK, as well as some heartburn for the company’s trademark counsel. If the mark-as-used departs from the mark-as-registered, there is a risk that the original registered mark has been abandoned, putting the strength of the registered rights at risk. This is a basic tenet of trademark law. While minor changes are permitted as a brand evolves, there is a point at which the changes go too far, essentially resulting in the adoption of a new mark. 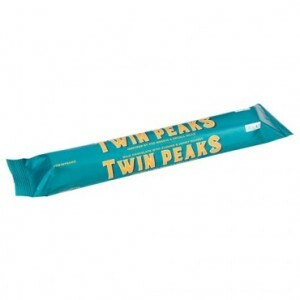 Seeing this vulnerability, a competitor entered the marketplace with a bar “inspired by” the original Toblerone bar. 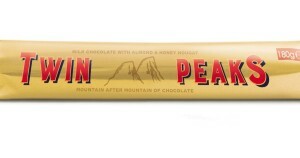 Poundland, a UK discount retailer, introduced a double-peaked chocolate bar complete with knock-off packaging that mimics the distinctive gold background and red lettering of the original Toberlone package. After a legal wrangle that reportedly kept the Poundland product off store shelves for several months, the dispute was settled and Poundland introduced modified packaging, featuring gold lettering against a blue background. In the field of consumer products, this is a good reminder that the shape of the product or its packaging can serve as a trademark, and can be registered as a means of protecting brand rights. When a product or trademark evolves over time – whether in response to cost pressures, as in the Toblerone case, or in response to changes in the marketplace, or consumer demands – it’s important to measure the modified mark against the original mark, as it was registered. If the departure is too great, the rights to the original mark may be placed at risk.